CHARRO! 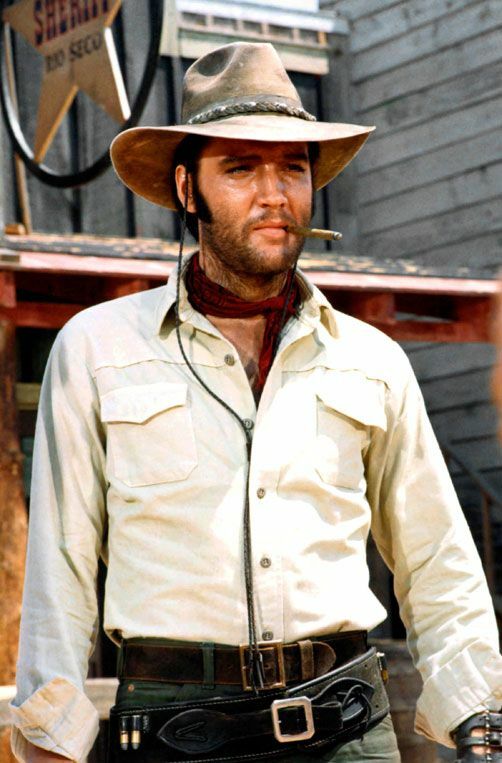 was the 1969 movie that Col.Parker convinced Elvis to take instead of True Grit. So Duke and the rest of us got saddled with Glen Campbell. 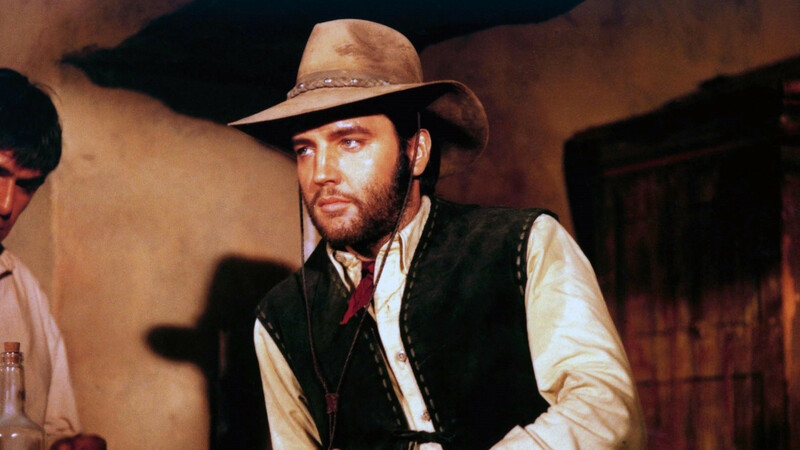 Elvis grew a beard to look gritty ala Clint Eastwood’s characters from his spaghetti westerns, movies Presley liked and whose impact he hoped to emulate. He was so defeated by seeing how the once-racy & rugged script had been cleaned up that the cultivated whiskers only served to disguise his embarrassment. Unappealing cast includes Ina Balin, Solomon Sturges, Barbara Werle, Paul Brinegar, James B. Sikking. 98 cheap-looking minutes steered by Charles Marquis Warren was shot to pieces by critics, and fans were turned off enough to sink it to the #56 spot of the years releases with a tepid gross of $3,900,000. Of Presley’s 31 films, the only one he doesn’t sing in, apart from the title song, which also bites. One of the working titles for this fiasco was ‘Johnny Hang’, but we’ll just leave that alone.